Cut out two snowflakes from the felt using the template; one for the top and one for the backing. Attach a sequin to the center of the top snowflake piece using one strand of embroidery floss. (Fold snowflake in half to help locate the exact center- see inset.) 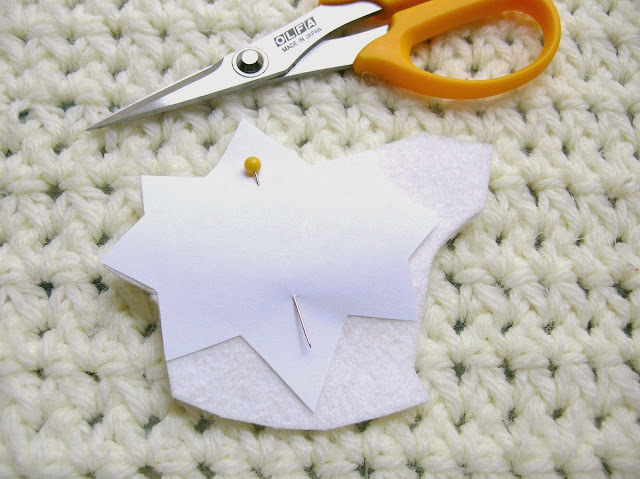 Work out from the center to make an “x” shape, alternating sequins with a small straight stitch. 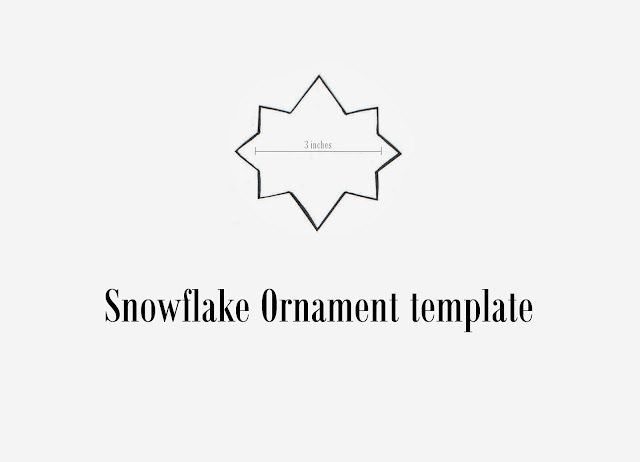 Fill in the rest of the snowflake. Start from the center sequin and work outward, alternating stitches and sequins in a pleasing pattern. 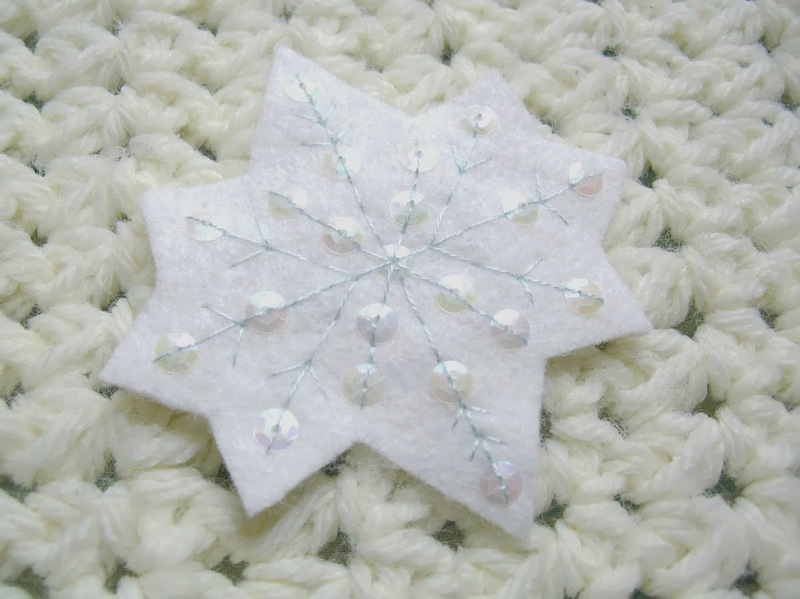 Layer the snowflake pieces (sequins facing up) and stitch them together using two strands of embroidery floss. 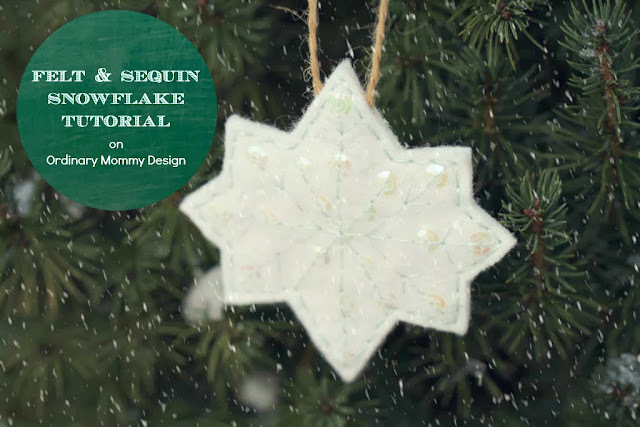 Be sure to securely attach the jute twine loop at the top of the snowflake (see inset).